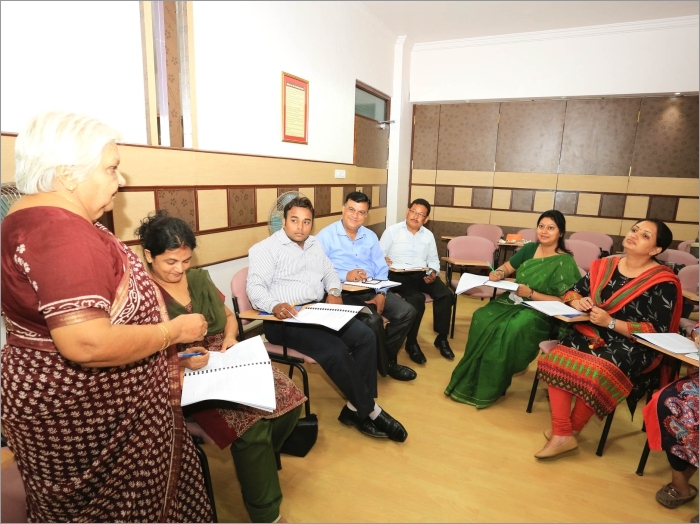 Padmashree Janak Palta McGillian was guest lecture at CMS Campuses. 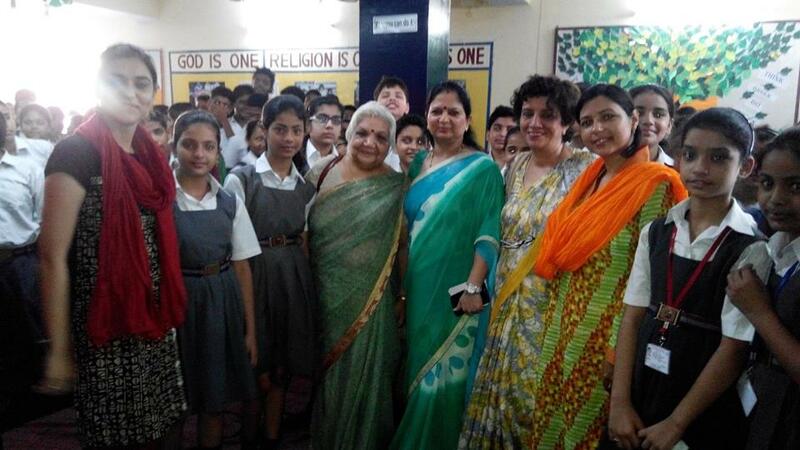 She gave enthralling information to our children on Sustainable Development – a need of the hour. By means of an interesting presentation she showed how she has devoted her entire life to this cause together with her husband Jimmy Mcgillian. Her list of chores include schools for tribal girls, educating them, training them to earn a livelihood. She has set up Barli Development Institute where they practice all the method of energy conservation – Rain Water Harvesting, Afforestation, Sprinkle Irrigation etc. One of the remarkable feature is the use of Solar Energy – Solar cooker, Solar Frier, Solar Drier, Solar Ironing is practiced which saves money and power as well. In Chattisgarh people an using fuel briquettes made out of waste paper, wood etc. 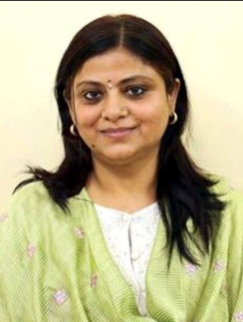 She has rendered her serious in Jhabua and Dattingman for Nirmal Gram Yojna for providing sanitation in the area. She has made the rural people eradicate guinea worm in 302 villages. Padmashri Dr. Janak Palta McGilligan made an excellent power point presentation on the theme of Sustainable Development based on her thirty years of experience as a social worker in Madhya Pradesh (Indore) empowering the tribal and rural women and girls. At the inaugual session, Mr. VN Garg, Dr. Geeta Gandhi Kingdon were also present. She was a co-facilitator with Mrs. Farida Vahedi for the training of environment coordinators and Junior Youth Empowerment teachers of all campuses of CMS. 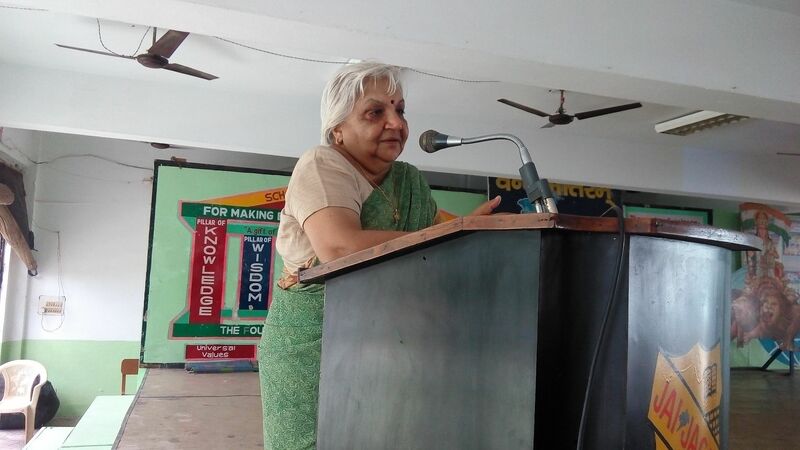 She made presentation to the CMS students and staff of 11 campuses of CMS from 22nd to 25th June 2015. (Gomti Nagar II, Anand Nagar, Maha Nagar Campus I and II, Rajendra Nagar Campus I, II & III, Asharfabad Campus, Kanpur Road Campus, Aliganj Campus I & II. 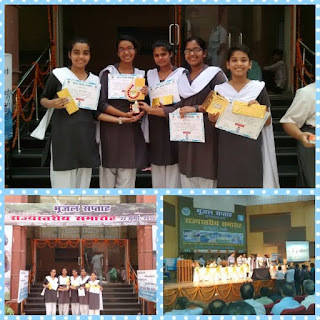 Students of CMS Aliganj Campus I, Paridhi and Anshulika won the 1st Prize in Essay Writing Competition, Harsh won the 1st in Drawing Competition and 3rd prize in Quiz Competition, from Ground Water Department during Ground Water Week celebrations at the Regional Science City, Lucknow. 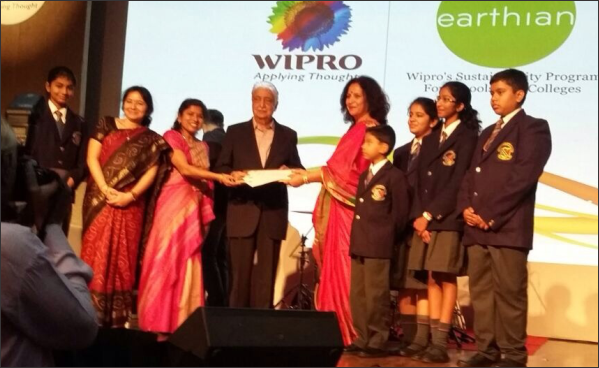 Shivyanshi Shukla, Rhythma Bajpai and Anshulika received the Consolation Certificates. 40 children of class 8 participated in quiz competition held at the Regional Science City organized by the Ground Water Dept., U.P. Students of CMS Mahanagar campus I got 3rd prize in group discussion on Ground Water Recharge (Bhoo Jal Charcha) organised by Ground Water Department of Uttar Pradesh as a part of ground water week celebrations from 16-22 July 2015 at the Regional Science City. 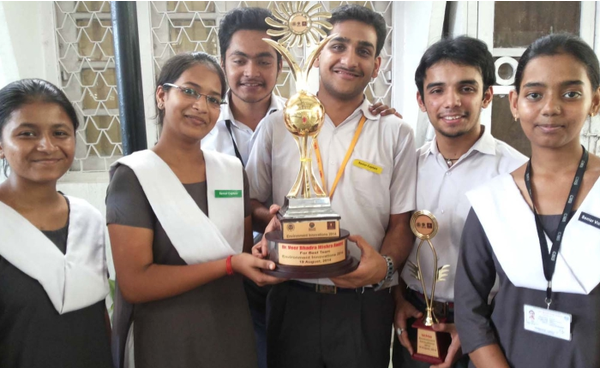 In September 2014, a six-member team of City Montessori School, Mahanagar Campus II brought glory to the institution by winning the prestigious 'Veerbhadra Award' for best presentation at Environment Innovation Fest organized under the joint aegis of social organization 'Swayam Siddha' and Ministry of Environment and Forest, Govt. of India. Naman Tiwari, a member of this prize winning team was honoured with the Best Actor Award. Starting with At CMS Gomti Nagar Campus 1, water and energy audits were completed for the month of September. Tree plantation activity was carried out with maximum participation of students..500 saplings were planted in the month of September. For water conservation, students were encouraged to carry their own water bottles to reduce the wastage of water. The Tree of Harmony was an activity carried out successfully in the campus. 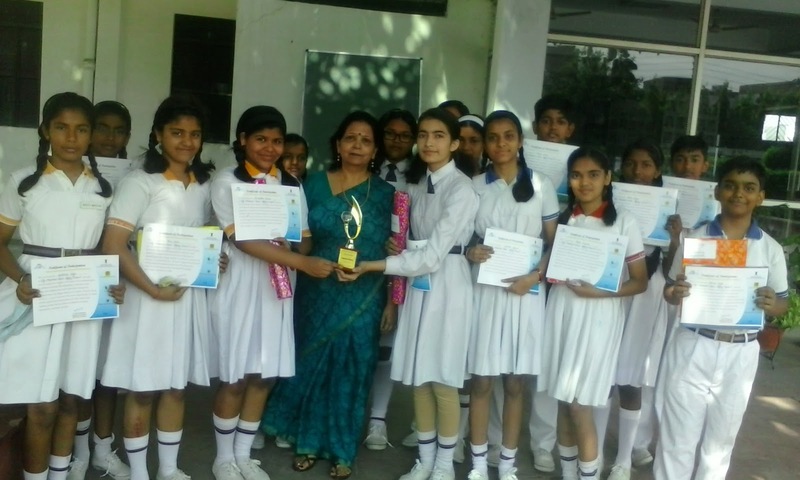 At CMS Gomti Nagar II, campus coordinator Nidhi Saxena reported that in the guidance of Headmistress Mrs Aditi Sharma, students achieved an enviable of 109% tree plantation. Different varieties of trees like Ashok, peepul, banyan, tamarind, neem and guava trees were planted in and around the school campus. Saplings were also planted in the compound of Vanasthali Apartments. in Gomti Nagar Extension.School gardener, Kamal Saini enhanced the beauty of the campus by reusing the empty cold drink bottles in which the saplings were planted. ...Tree plantation was carried out enthusiastically at the campus by the students with 330 trees being planted in September Model classes focused on saving the precious resources of water and electricity and the harmful effects of plastic. Parents were advised to Carry cloth bags while going to the vegetable market and not take the vegetables in plastic bags, reuse the plastic bags by washing them, give left over plastic bags to shopkeepers, vendor etc, and carry containers while purchasing kitchen items and so on. CMS Rajajipuram Campus I students planted trees on the new plot. Parents gave the commitment to stand by the vision statement of environment conservation taken up by CMS. Energy, water auditing continued. Collage and speech competition were held on Ozone Conservation. .Juniors planted 520 saplings while the seniors planted 435 saplings. 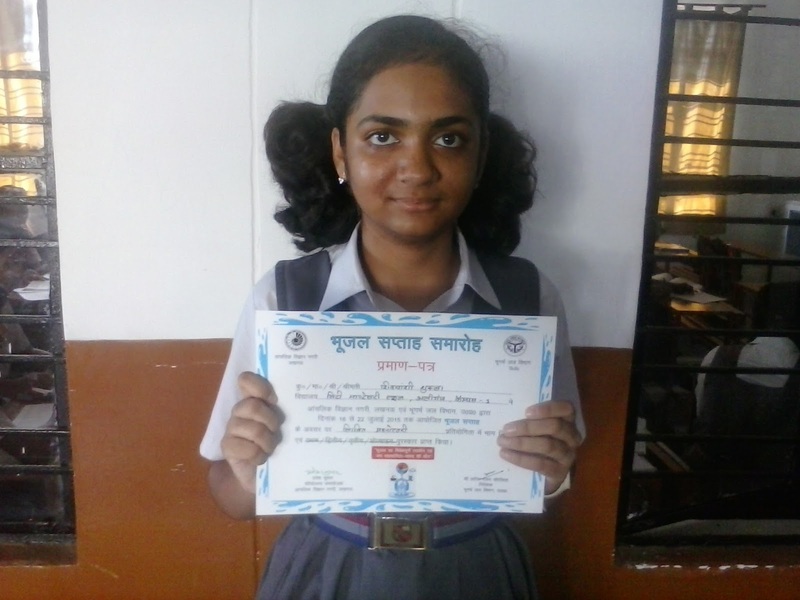 They achieved 100% tree plantation target. To promote Indo-Pak peace, students planted the Tree of Harmony in "Jai Jagat Park." CMS Mahanagar Campus I encouraged its students to plant saplings around their homes as part of SUPW assignment.. On 21st September, 2012 i.e. International peace day, tree plantation day was celebrated in the campus. Junior classes brought pots and planted sapling while senior students planted the sapling in a part in front of I.C. building. We named their plants were named trees of harmony. Till September, 1100 saplings were planted. A skit was enacted by the juniors in which life in 2050 was depicted. In the play, students spoke about climatic changes related to deforestation. Students also pledged to plant trees and save the environment. 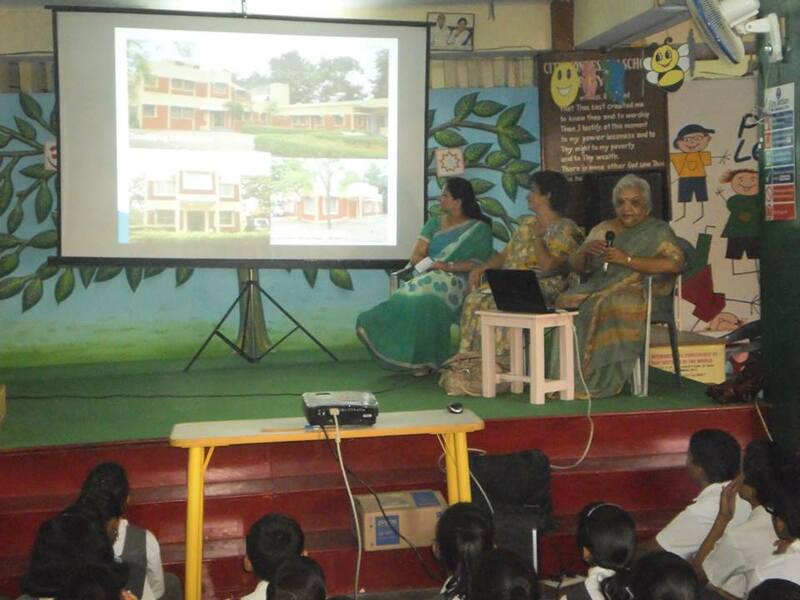 Environment coordinators Ms Thakur and Ms Geetanjali Sharma report that Children enthusiastically participated in the "save energy, water drive". Saplings were planted in pots. Children were religiously watering the pots at regular intervals. Small posters were put up in each class stating "save energy and water. Morning prayer assemblies were mostly based on topics related to environment Students were given points for their respective Houses according to their environmental activities.. 220 saplings were planted by students till September.. A new environment related quiz called 'Green Teen Quiz' was introduced in MACFAIR. Ms Tahseen Faizal, Environment Co-coordinator of CMS Rajendra Nagar I is full of enthusiasm telling us that in her Campus, students planted trees in their surroundings and photographs have been clicked of the same. Students have been encouraged to plant trees In primary and pre-primary section They are bringing small plants on their birthdays and the same is been planted in the garden pots. 700 saplings were planted till September. Competitions and model class presentations highlighting the importance of environment in our lives, are in full swing. 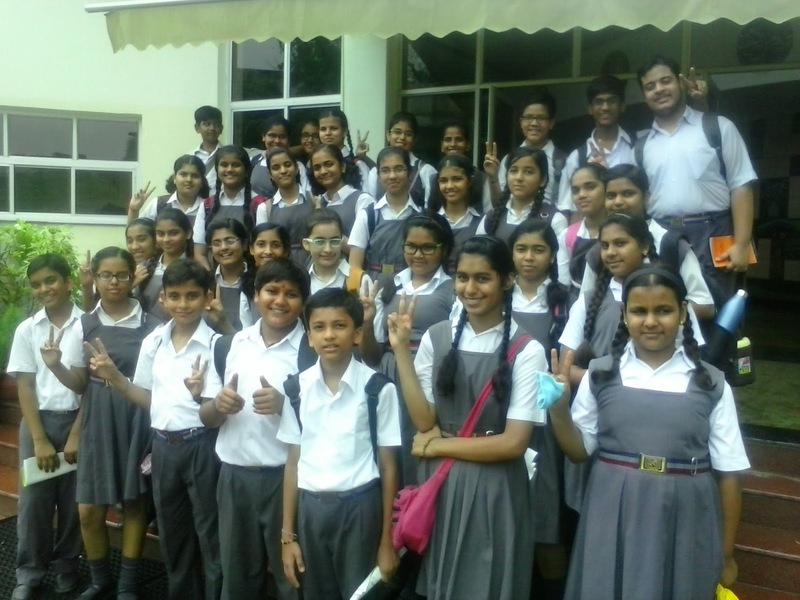 Students have planted over 100 trees outside the school and also conducted an Awareness March in the vicinity of the school to save the environment. They made visits to people in surrounding areas and spoke to them about environmental protection, saving water etc. In the Junior Assembly, children shared their activities about saving environment, electricity & water. At CMS Chowk, children eagerly took up the green awareness drive and were taught the use of green products. Water conservation and auditing efforts led to saving of water from 7.32 per litres per day to 4.92 per capita per day. Saplings were planted by the students of different classes. Mani Agarwal informs that students were encouraged to plant trees, herbs, saplings and shrubs Around 500 saplings were planted till September. water and energy auditing was done successfully. Students and parents were sensitized about water and energy conservations by conducting surveys. A painting competition on conservation of resources was organized to create awareness among the students and motivate them for action. Similarly, RDSO Campus was brimming with eager faces ready to make a change in the environment and ensure the greenery of the earth. Campus Coordinator Mrs Nussarat Fatima reports tree plantation drive was organized for pre-primary and primary on 27th September. 870 trees were planted till September. Books were suggested for reading like Go Green- A Bond with the mountains – By Ruskin Bond’, ‘Sadbhavana tree’ was planted, a poetry competition was organized on 15th September on conservation of energy. Mrs Anupama Johari informs that on 18 September, the student council paid a visit to Kalli village where they planted saplings and also gave plants to a Govt. School there. On 10 September students went for a trip to Banthra and got exposure to research and scientific centers of NBRI. Nitrogen cycle was explained to the students with the help of the plants.. Medicinal plants like sarpganda, Ashivagandha, Pipli, Satavar Istivia and Brahmi were shown to the children AURAWAN Research Centerwas an experience which sensitized the students.On 25th September, Classes III to VIII visited the National Botanical research Institute (NBRI). B.Mazumdar speaks for the developments at CMS Indira Nagar saying that the pre primary and primary sections were taken for a natural walk in the park in front of old building. Water harvesting set up was described and shown to the children which is being in corporate there. Children also watered the plants, during the visit. ‘Gift a Plant’ was introduced in the assemblies of all section. Children were told to gift a plant on birthdays and anniversaries of friends and dear ones. Classes VI, VII, VIII were taken to NBRI for an educational trip where they interacted fruitfully with many scientists. On 21st Sept ‘Sadbhavana Tree’ a gulmohar sapling was planted and children were once again reminded of the importance of maintaining harmony in nature. the already ongoing efforts e.g. the staff members thought of bringing their own cup/glasses instead of paper cups or plastic glasses etc. Mrs A. Ayub of CMS Asharfabad reports that children are made aware about the conservation of water and energy during the assembly. On the Ozone Day saplings were planted speech by the science teacher. skit on environment was enacted in the assembly. Teachers encouraged the children to plant the saplings at home.3 pots were adopted by each section primary, Pre-Primary and Junior Section. Saplings of Tulsi, Mogra, Gul Mohar were planted and importance and medicinal value of each plant as explained. Around 400 saplings were planted in September. Environmental Project at CMS. Watermark theme. Powered by Blogger.